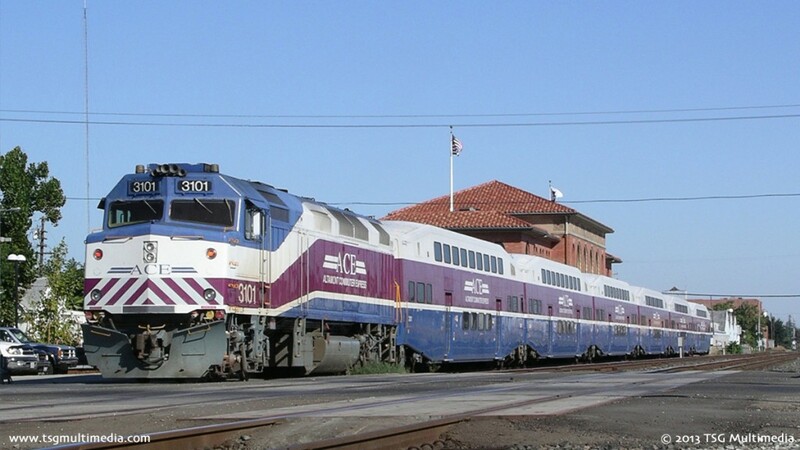 The ACE: Stockton to San Jose rail video begins in Stockton, California. The ACE: Stockton to San Jose rail video includes intermediate stations like Lathrop, California. 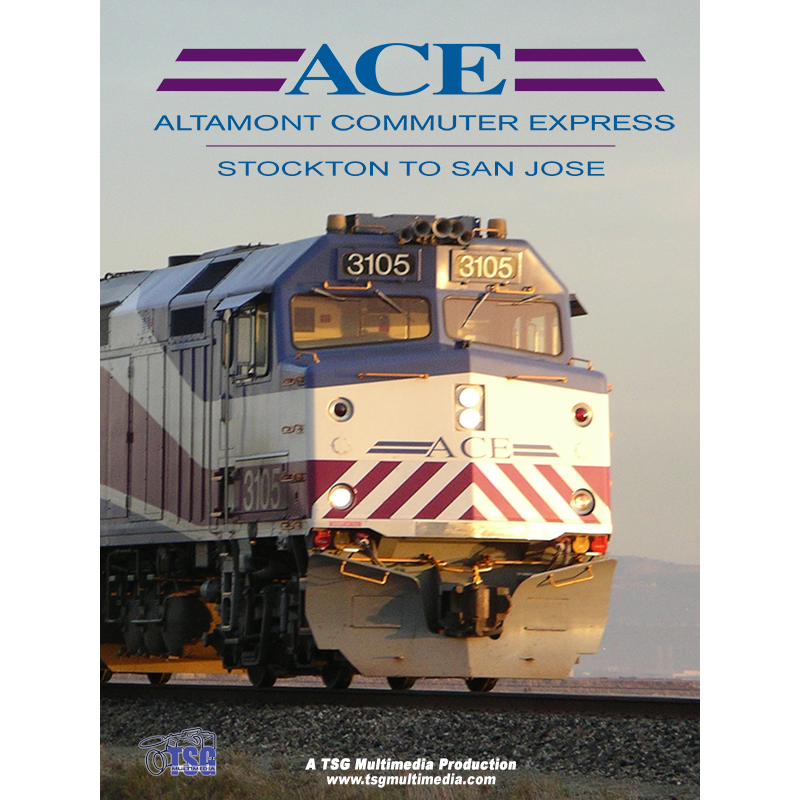 ACE: Stockton to San Jose chronicles the operation of the Altamont Commuter Express (now called the Altamont Corridor Express). 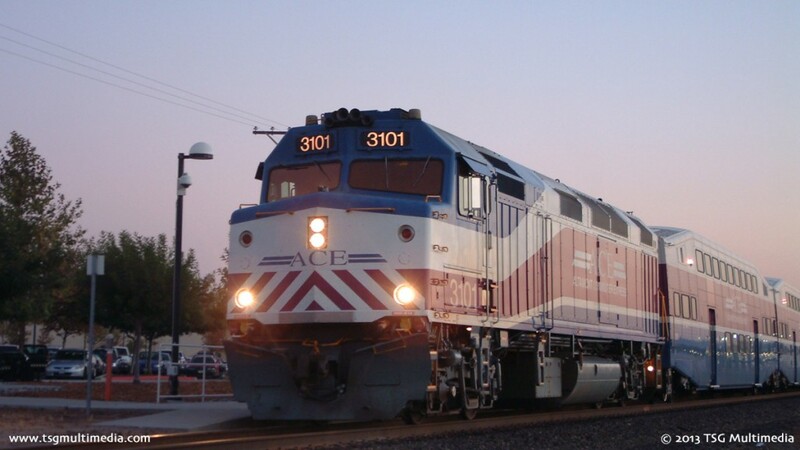 Operating on former Southern Pacific and Western Pacific lines between Stockton and San Jose, California, the ACE train carries over 1,400 commuters each day. Join us for a tour through scenic Altamont Pass, wooded Niles Canyon, the marshlands near Alviso, and more! Every ACE station is included! Filmed in late 2005 and early 2006, this video also includes vintage photos of some of the locations ACE serves and a thoroughly researched historical narrative. 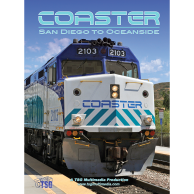 See hard-working F40PH locomotives in action! Witness meets between ACE and Union Pacific trains on this mostly single-track route. 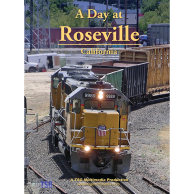 This action-packed production also includes footage of UP, BNSF, Amtrak California, California Northern, the Niles Canyon Railway, Caltrain, and Santa Clara County’s VTA light rail! Building on the experience of our Caltrain 2005 video, for our next project we wanted to do something that hadn’t been done before. We chose to document the Altamont Commuter Express, or ACE, which carries approximately 1,400 passengers each day from San Joaquin Valley to Silicon Valley and back. Though the focus is on ACE, there is plenty of footage of other trains including Union Pacific and BNSF. This video is just under two hours in length. Though not as well known as Tehachapi or Donner, Altamont Pass offers some very scenic mountain railroading. In addition to Altamont, the video shows trains running through wooded Niles Canyon and along the water near Alviso. We consulted with local historian Henry Bender to provide information on historic depots along the line. Vintage still photos show some of the locations as they once were. 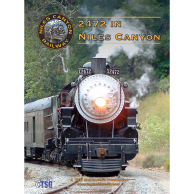 While primarily intended for railfans, there is enough information in this video to appeal to anyone with an interest in trains, rail travel, public transit, or the local history of the Southern Pacific, Western Pacific, and Union Pacific. TSG Multimedia has truly created an interesting video capturing the true essence of the Altamont Commuter Express, and the beautiful scenery it traverses each day, as it transports busy silicon valley executives, working class commuters and the occasional traveler alike each day. If you would like to learn more about this railroad, visit ACE. Join us for a look at this amazing commuter and freight route!